We are a full-service design build company servicing Santa Barbara and surrounding areas. From conceptual design to completed installation, we want to get our clients out into the garden to enjoy the natural beauty outdoors and extend the usable space of their homes. We strive to live up to our motto "Changing Lives One Yard At A Time". We craft a place for the exploration all manner of landscaping ideas and projects. Our landscapes have been featured in Sunset magazine, The Los Angeles Times and Food and Home magazine. 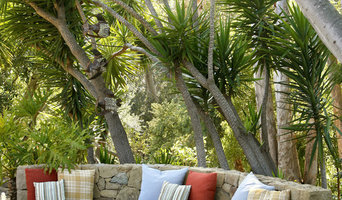 Grace Design Associates, Inc. is a full-service custom landscape design + build firm headquartered in Santa Barbara, CA. Established in 1989, Landscapes by Davids is an award-winning, full service landscape company specializing in design, construction and maintenance. 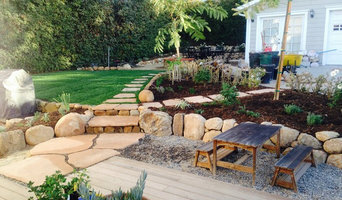 Our combination of landscape architecture and garden design, landscape construction and garden care is truly unique in Santa Barbara. Landscapes by Davids has been seamlessly designing, building and caring for local gardens for nearly 30 years and experience is our advantage. Let us share our expertise with you. We work with award-winning landscape designers and landscape architects to bring their ideas to life on some of the world's most beautiful properties in Santa Barbara and Ventura County. At Macy Landscaping, we manage and maintain all aspects of your outdoor space. We provide everything from large install projects or renovations to weekly maintenance services. If you are having problems with your irrigation system, we have the expertise to perfect your current system and provide industry standard or state of the art irrigation controllers. We are currently serving all of Santa Barbara, Goleta, and the surrounding areas. Salinas Landscape has been serving Santa Barbara and Ventura Counties for over 25 years. The company guarantees the highest level of service at a competitive price. We design and build all types of custom Rock and Water Features such as Koi Ponds, Water Gardens, Circulating Creeks and Streams, Waterfalls, Fountains, Decorative rock and boulder placement and Artificial rock work. We work with Architects, Contractors, Designers and Homeowners. 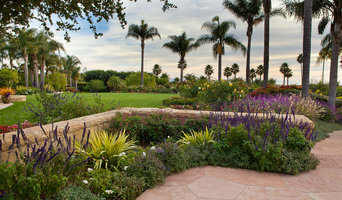 For over 40 years, Montecito Landscape has been creating beautiful gardens in Santa Barbara, Montecito and beyond. We bring the unique character of Montecito to life in every garden. Arroyo Seco Construction specializes in a broad spectrum of Santa Barbara properties, specifically custom homes, masonry and world class water-features. Inspired by a family steeped in the landscape maintenance and design business, Jorge Cortez created SB Evolution Landscape to continue that tradition. Proudly serving the Santa Barbara, Montecito, Hope Ranch, Goleta, and Carpenteria communities, the company is devoted to its clients, putting homeowners’ and business owners’ interests first while instilling in them a confidence that their landscapes will be maintained with the utmost care and expertise. Custom Landscape Design, Installation and maintenance. Installation and maintenance of Boutique vineyards. Salinas Landscape provides the highest level of service at a competitive price. How can we help? Salinas Construction Landscape is a full-service landscaping company specializing in everything from maintenance to complete renovations, installations and much more. Send us a message or call (805) 698-2715 or (805) 565-3471. • Landscape Services: Maintenance, mowing, edging, weed trimming, bed planting, tree and shrub maintenance, clean-ups and hauling. • Irrigation Services: Sprinkler and drip system; installation, upgrades and complete maintenance; residential and commercial. • Rock & Hardscape Services: Rock work, raised beds, retaining walls, drainage, and water features. I am a landscape design consultant. I design and or build all types of landscape. Themes and styles which include: modern, CA style, English country, French, Italian, Asian, edibles, etc. I specialize in water conservation, organics, sustainable practices and high quality maintenance and training. I am known for my top of the line plants and trees and brokerage of all types and varieties of plants to fit your landscape. Each landscape design is unique. Studio Landscape is a full service landscape architectural firm. We offer design, consulting and project management in the residential, public, commercial, hospitality, and rural and urban agriculture sectors. We specialize in visioning, Master planning and Whole System designs. We are passionate about sustainability…. because it makes sense. We love working responsibly with the land from open spaces to the urban core. We love the connections between people and places and everything above, below and in between. We believe this interconnection is vital to creating beautiful and functional spaces and places. Organic Greens Landscapes is a full service landscape contractor specializing in bringing our clients the best outdoor construction experience possible. We take pride in work quality and deliver premium customer service. Our experienced and professional crew will help put your worries to rest and bring your dream space to life by completing every job on time and making sure it is done right. We strive to make your project a pleasant experience from start to finish by paying close attention to detail and being accessible throughout the job so you always have peace of mind. Give us a call today, we would love to hear from you! Not gifted with garden tools? 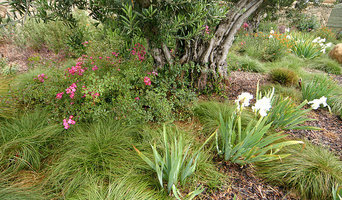 Professional Mission Canyon landscaping companies are your best bet to get lush, lovely grounds year round. Hire a landscaper to create and maintain a beautiful yard that complements your home and blends into its native setting. From soil, grasses and plants to decks, walkways and patios, Mission Canyon landscape contractors are well versed in the components that make up a functional and visually pleasing outdoor living space. Learn more about how a landscaping company in Mission Canyon, CA can help you with your yard below. What does a Mission Canyon landscape contractor do? Landscaping contractors execute lawn, garden and hardscaping plans that have been drawn up by an architect or designer. They may also provide design services on their own. After the everything has been installed, landscape companies can make adjustments, maintain plantings, take care of weeds and pests, and perform other tasks to keep the scheme looking its best. A licensed California landscaper should have detailed knowledge of Mission Canyon, CA weather and climate trends and conditions, and can choose plants and materials that are well suited to the area. Residential landscape companies in Mission Canyon, CA also handle many of the same general duties as builders, including arranging for construction permits, hiring subcontractors and making sure that designs comply with California building codes. Find Mission Canyon landscaping services on Houzz. Narrow your search in the Professionals section of the website to Mission Canyon, CA landscape contractors. You may also look through photos of California landscapes to find one you like, then contact the landscaping company in Mission Canyon, CA who worked on it.